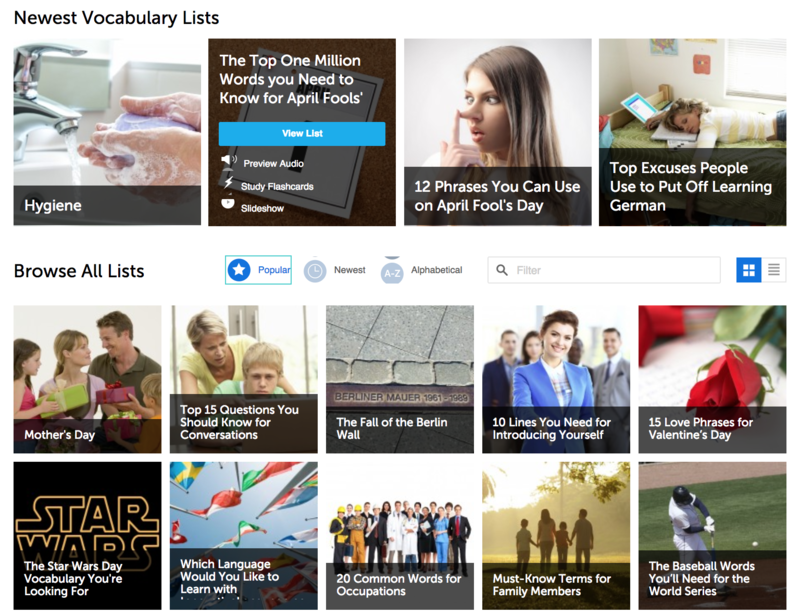 April 11, 2018 by The Junkie 0 comments on "How to Learn German in 5 Minutes a Day (Powerful Study Tools)"
You say you want to learn German in 5 minutes a day, right? Well, yes, it CAN be done. In fact, it’s SMART to learn a “little bit of German” a day. Think about it. If it something is easy to do, then you’re more like to continue, right? And then, you can adjust your routine. It’s like gym. You start with 5 pounds, then you move onto 10 pounds. So, how how can you learn German in 5 minutes a day? How much time? 1 minute or less. Picture this. Ding! You get an email. It’s your daily German word. You open it, you read the translation and the meaning. You press a play button and hear the pronunciation. Done! You’ve just learned a new word. 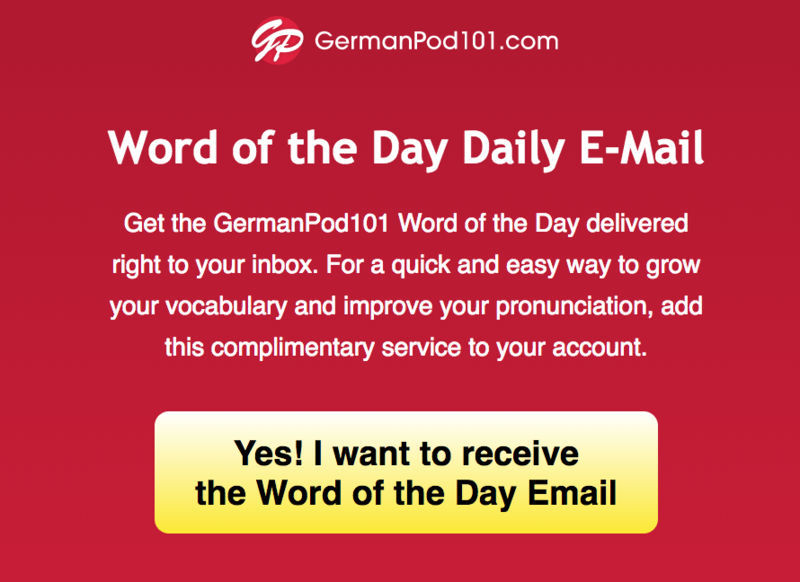 GermanPod101, an online German audio/video learning program, offers a free word of the day service to interested people. Do you listen to music and podcasts? 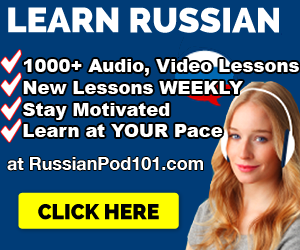 Well, you can listen to also German lessons and learn German in 5 minutes a day. Especially if you’re on the go, walking around, or at work. Listening is one of the easiest ways to “consume” lessons. 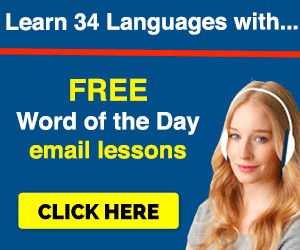 But, where would you get these German audio lessons? Or this one. It’s just a tad above the 5 minute mark. What’s your name in German? 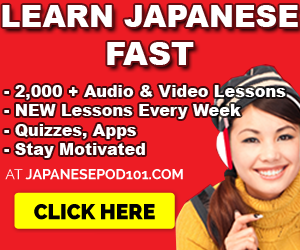 Where can you get these audio lesson? 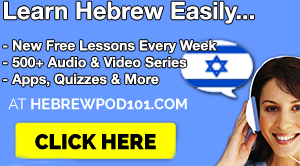 Also be sure to check out the “Newest Lessons.” They come out weekly and are free. 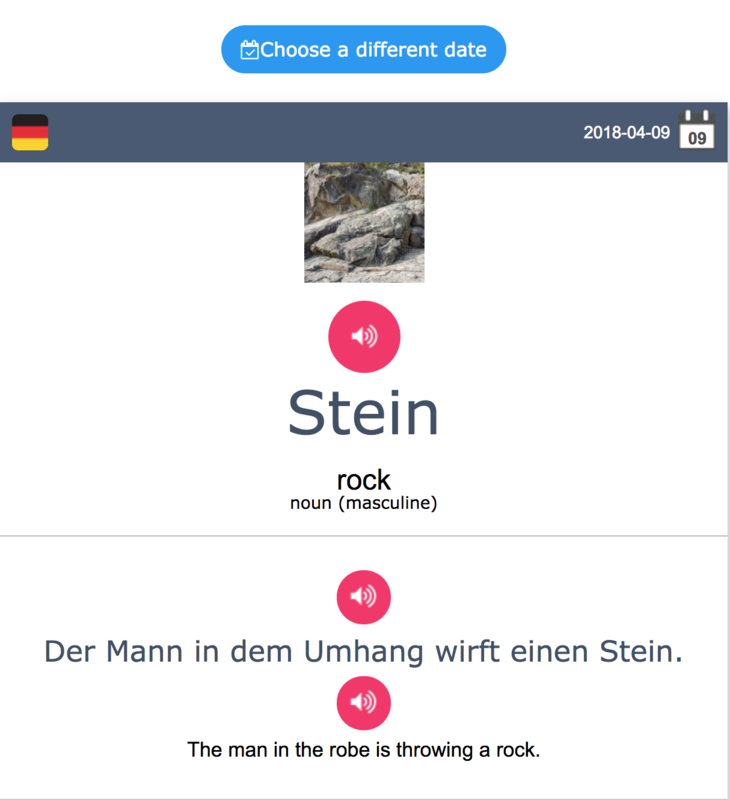 Video is another super easy way to consume German lessons. You get to HEAR and SEE the language. Now, the obvious place to watch videos is YouTube. But, I want to give you a warning. If you are honest-to-god interested in truly learning German, YouTube may not be the best option. Why? YouTube is designed to distract you with advertisements and viral videos. Your attention will be stolen whether you notice it or not. Where can you get German Video Lessons? There’s an app out there called “The Daily Dose of Language” for the iOS and Android. What does it do? Basically, you get a new little lesson every day. Every day is different. And the App also sends you reminders which is motivational, in my opinion. It’s a small app and not a complete language program. But, its power is in the fact that it keeps you going and keeps you learning German. 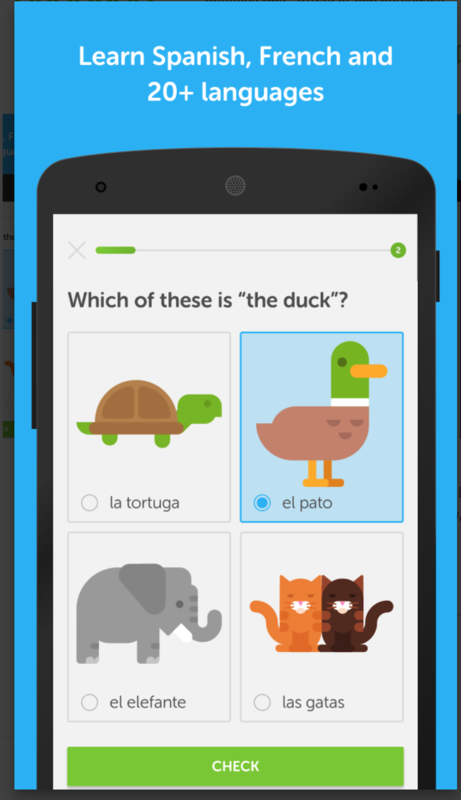 There’s another famous app out there called Duolingo. Yes, you can learn German with them. I’m personally not a fan of matching games and translation exercises as a way to learn language. However, I’m not you. And other people like the app. So, I’m listing it here as another valuable way to learn German in 5 minutes a day. You’ll discover a ton of German phrase and vocabulary lessons for all topics: holidays, conversations, must-know phrases and so on. Now, aside from being able to learn tons of words, you can also SPEED up your learning with audio slideshows. Each lesson comes with 1) audio and 2) a slideshow feature (the one I’m mentioning here) that you can use. Imagine just turning on a slideshow, putting it on loop and listening to the words. It’s easy learning. It’s learning on autopilot. Cool stuff. If you like to read, then this is the resource for you. PDFs are the “books” of the digital world. Any book that you buy online is a PDF at heart. You can’t edit it. You can only read it. 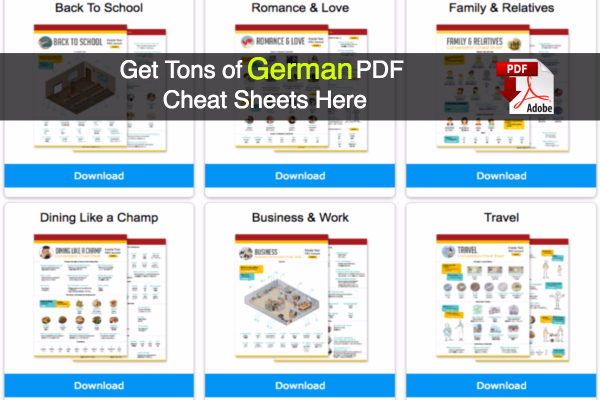 And yes, there are plenty of German PDF lessons and eBooks around. There’s nothing wrong with easys way to learn German. We start with the easy things first. Then, we graduate to the harder parts. That’s how improvement works. That’s how we get good at German. So, don’t worry. 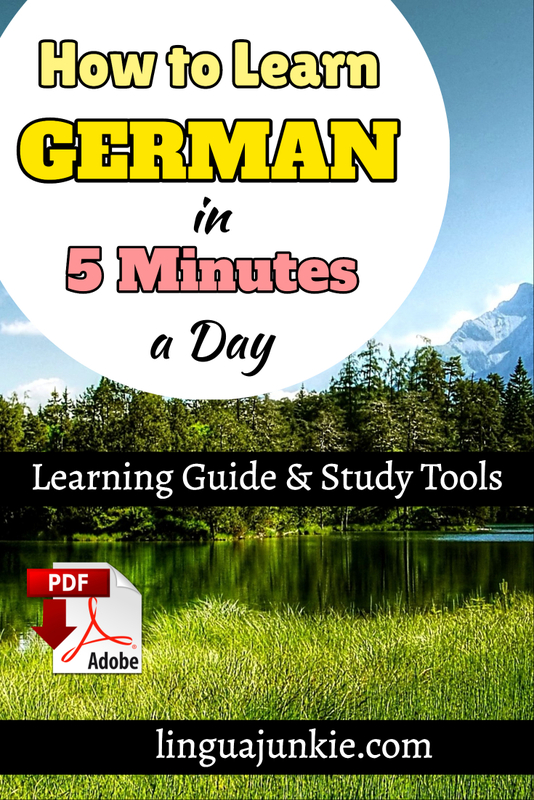 It’s perfectly fine to look for ways to learn German in 5 minutes a day or less. Whatever gets you going and keeps you going is good enough.